It might be Halloween, but there is still plenty of music news to share. Especially for fans of country, roots and Americana music! The River & The Thread, Rosanne Cash’s first album in more than four years, will be released on January 14, 2014 by Blue Note Records. Cash wrote the album’s 11 original songs with her longtime collaborator (and husband) John Leventhal, who also served as producer, arranger and guitarist. See below for track listing. The Chicago Tribune hailed Cash’s 2010 bestselling memoir, Composed, as "one of the best accounts of an American life you will likely ever read." With The River & The Thread, Cash turns her attention to other American lives and locations. The album richly evokes the Southern landscape – physical, musical, emotional – and examines the indelible impressions it has made on our own collective culture and on Cash. The River & The Thread follows 2009’s The List, which was named Album of the Year by the Americana Music Association and nominated for two GRAMMY® Awards. “If I never make another album I will be content, because I made this one,” says Cash ofThe River & The Thread, which is a marked departure from her earlier works. On December 5, Cash will begin a three-day residency at the Library of Congress in Washington, DC. 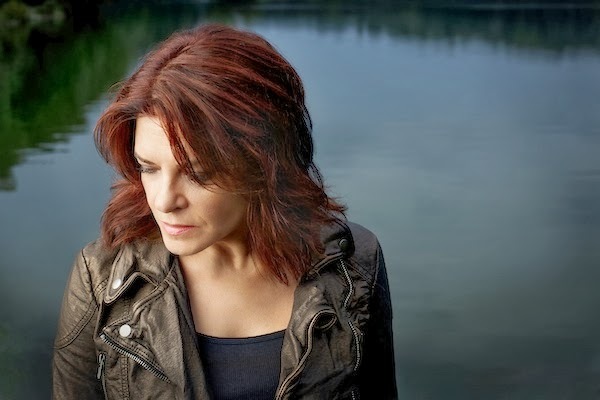 Events will include a concert, a round robin with Leventhal, Crowell, Cory Chisel and Amy Helm and a conversation with Natasha Trethewey, U.S. Poet Laureate. For additional details, click here. Cash, who was born in Memphis and raised in California, has recorded fifteen albums, including 1981’s Seven Year Ache and 1987’s King’s Record Shop – both certified Gold. She has charted 21 Top 40 country singles, 11 of which climbed to No. 1. She has received 12 GRAMMY nominations, winning in 1985. Cash has also published four books and her essays and fiction have appeared in The New York Times, Rolling Stone and New York magazine, among others. Nashville, TN – Oct. 31, 2013 – Following the primetime television debut of their new single "Compass" on Wednesday's Country Music Awards, Multi-PLATINUM trio Lady Antebellum will head to New York City for the release of GOLDEN DELUXE, available in stores Nov. 11, 2013. The group will kick off the week on Monday with a two song performance on TODAY (11/11). They will also perform on Katie on Thursday (11/14) and the Late Show with David Letterman on Friday (11/15). Additionally, fans can tune-in to see Lady A's full concert from the historic Ed Sullivan Theatre as part of the Live On Letterman concert webcast series on Thursday night (11/14). The upcoming GOLDEN DELUXE includes previously released tracks off their No. one album in addition to six bonus tracks special for the new release. The announcement of GOLDEN DELUXE coincides with the release of the group’s new single, the arena sized sing-along “Compass.” “Compass” follows seven No. one hits at country radio, five PLATINUM singles and over 11 million album sales worldwide. Most recently, the trio received nominations for “Vocal Group of the Year” and “Music Video of the Year” for their recent No. one “Downtown” at next week’s CMA Awards where they are slated to perform. Lady A is also nominated for the AMA’s “Favorite Country Band, Duo or Group.” For updates on additional upcoming appearances and on new music, visit www.ladyantebellum.com. The fabled Canadian roots-rockers are a virtual institution in their home country, where they’ve been crafting bracing, catchy, introspective music for nearly two decades. Yet they’ve managed to maintain a relatively low profile in the United States. That situation seems likely to change with the U.S. release of the band’s eighth album, South, coming out through File Under: Music on January 14, 2014. A limited edited 7” vinyl containing tracks “South” and “North” was issued on October 29, 2013. 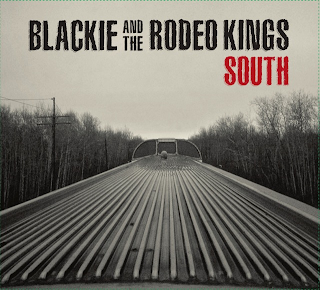 South represents a fresh creative step for Blackie and the Rodeo Kings, while embodying the qualities of rootsy musical uplift and quirky lyrical depth that have long distinguished the ensemble’s varied output. The album’s largely acoustic yet reliably punchy arrangements showcase the three songwriters’ multiple strengths, while their organically energetic performances maintain the vibrant chemistry that’s kept Blackie a consistently vital and distinctive musical force. Fearing, Linden and Wilson were already seasoned veterans of the Canadian music scene when they first forged their collaboration in 1996 in Hamilton, Ontario. The group was initially assembled as a one-off side project to record High or Hurtin’: The Songs of Willie P. Bennett, a tribute to the Canadian folk artist whose 1978 LP Blackie and the Rodeo Kinginspired the combo’s name. Despite the original plan, the new unit quickly took on a life of its own, spawning such memorable albums as Kings of Love (1999), which won a Juno Award for Best Roots and Traditional Album, Bark (2003), Let’s Frolic (2006), Let’s Frolic Again (2007), the compilation Swinging From the Chains of Love (2009) and Kings and Queens (2011). Meanwhile, the three have maintained their individual careers outside of Blackie. Fearing is a widely respected solo artist, and is half of the duo Fearing and White with noted Irish artist Andy White. Wilson has worked solo, as well as leading the bands Junkhouse and Lee Harvey Osmond. Linden, who relocated to Nashville in 1996, has released several solo albums and recently played guitar in Bob Dylan’s touring band. As guitarist, songwriter and/or producer, he’s also worked with the likes of The Band, Ray Bonneville, T-Bone Burnett, Bruce Cockburn, Amos Garrett, Emmylou Harris, Colin James, Keb’ Mo’, Diana Krall, Leon Redbone, Chris Thomas King and Lucinda Williams. 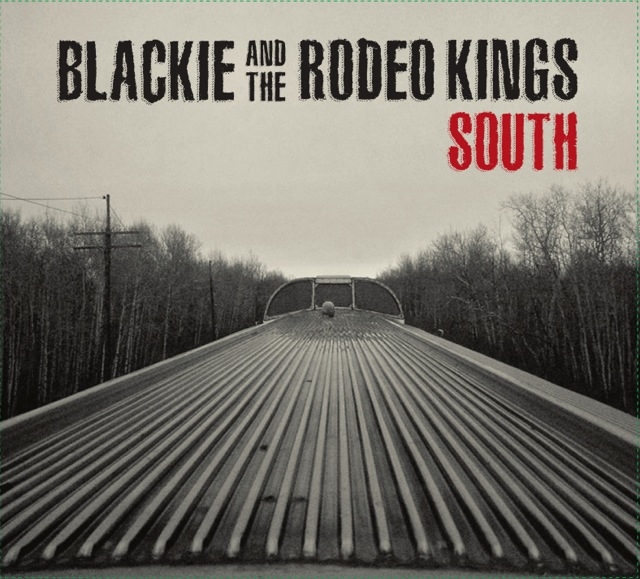 South represents both a consolidation of the qualities that have already endeared Blackie and the Rodeo Kings to fans, and a bold departure from the band’s established sound. The project first began to take shape while the group was touring the Canadian festival circuit in support of its last album Kings and Queens. On several occasions, inclement weather caused Fearing, Linden and Wilson to retreat to the shelter of the merch tent, where they would stage loose acoustic sets. These impromptu performances soon began to take on a sound and groove that was distinct from the five-piece electric sets for which Blackie was already renowned. The experience of stripping down their sound had such a rejuvenating effect on the three frontmen that they decided to capture that vibe on record. They had initially planned to record a low-key all-acoustic vinyl-only release, with one original and one cover from each singer. But when they brought the material to Linden’s Nashville studio, they found their originals to be more exciting than the covers, and before long they’d accumulated an album’s worth of new original tunes. They then added the band’s longtime rhythm section of bassist Johnny Dymond and drummer Gary Craig to the sessions, and the material evolved yet again. By the time they were finished recording, the only element of the original plan that remained was the absence of electric guitars. Instead, Linden applied his production prowess to give the songs a vivid sonic depth that enhances the songs’ melodic and emotional resonance. Titled in honor of the sessions’ Nashville location, South features Blackie’s most infectious and expressive batch of compositions to date. Linden’s autobiographical title track reflects poignantly on how he followed in his parents’ footsteps by moving his family from Canada to America. Wilson also took a crack at writing a title song for the album, but got turned around and instead penned the rousing album-opener “North.” The band’s capacity for insightful introspection is demonstrated on Fearing’s affecting “Everything I Am,” and on the heartbreaking Fearing/Wilson co-write “I’d Have To Be a Stone.” The album closes, appropriately enough, with its only cover, “Drifting Snow,” by the aforementioned Bennett, who inadvertently inspired Blackie and the Rodeo Kings’ birth back in the day. If Colin Linden, Stephen Fearing and Tom Wilson have learned anything in the past 17 years, it’s that Blackie and the Rodeo Kings is a journey, not a destination. Their original plan to make one album and then go their separate ways has given way to an enduring musical rapport that’s grown deeper — and more integral to their lives — than they could have ever imagined. For Fearing, The Rodeo Kings are brothers, "We all come from crazy homes and this band is the family that we created for ourselves. It's a chance to step outside of the solo spotlight and climb aboard an ensemble that puts musicality and soulfulness above everything. I know that no-matter what happens, those characters have got my back." Linden is looking forward to getting on the road and bringing South to old and new fans on both sides of the border. Linden also opines that, despite being a stylistic departure, South is as good a place as any for new converts to discover Blackie and the Rodeo Kings. 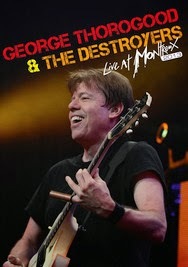 On November 19, 2013, Eagle Rock Entertainment will proudly release George Thorogood & The Destroyers: Live At Montreux 2013 on DVD, Blu-ray, and CD. In 2013, George Thorogood & The Destroyers finally brought their hard-rockin’ blues to the prestigious Montreux Jazz Festival for the first time -- an event that hosted many of the artists that inspired them. Delivering a high-octane performance as only they can, the band delved into their rich repertoire, performing songs stretching back to their eponymous 1977 debut album, right up through their most recent releases. “Who Do You Love?” “One Bourbon, One Scotch, One Beer,” “Move It On Over,” “Bad To The Bone,” -- these classic and many others are all performed to perfection on Live At Montreux 2013. Since the mid-seventies, George Thorogood & The Destroyers have solidified a legacy as musical icons. With their all-American brand of Rock ‘N’ Roll, they have achieved massive success, with 16 studio albums and worldwide sales of over 15 million. Taking cues from ‘50s Chicago blues, and drawing inspirations from the likes ofElmore James, Hound Dog Taylor, and Chuck Berry, Thorogood & The Destroyers cranked the volume, intensity, and rebellious attitude. Live At Montreux 2013 brilliantly showcases their long-overdue debut at the famed jazz festival, and is an incredible addition to Eagle Rock’s Montreux collection. 2) Who Do You Love? 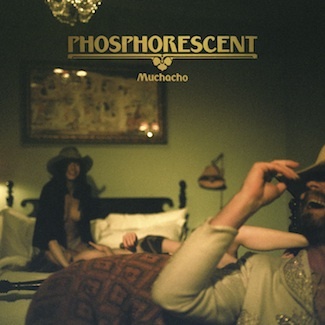 Muchacho De Lujo is the deluxe edition of Phosphorescent's renowned 2013 album. The album is out today and the bonus disc is now streaming exclusively at The AV Club. 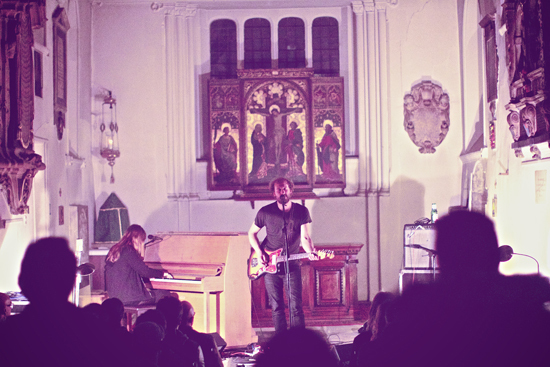 De Lujo features bonus material from an intimate pre-release live show recorded at St. Pancras Church in London. The set, performed with Matthew Houck on guitar and Jo Schornikow on piano, features Muchacho's "Song for Zula," Pride's "Wolves," and a cover of Waylon Jennings' "Storms Never Last." Phosphorescent will resume touring in Europe next month including their biggest London show to date. They'll cap off 2013 with a four-night run of nearly sold-out shows at the Music Hall of Williamsburg, December 18th-21st. The few tickets left are on sale here. Houck to a wider audience as popular musical tastes begin to turn his way"
smoldering hope and self-righteous spite"
heartbreak - and fashions it into something close to a defining statement"
laptop and still tripping on peyote, Muchacho would be his latest masterpiece"
lost-love devastation and hip-swaying, horn-led exultation." Muchacho is an artist setting a new standard." addition to the Phosphorescent catalogue." "A hell of a production." Video: "Ride On / Right On"
Muse - Live at Rome Olympic Stadium, July 2013 is the first concert film ever to be presented in 4K, a format soon to be adopted by Hollywood as standard for all blockbuster films. Now becoming widely known as Ultra High Definition, 4K means more pixels - to be precise 8.8 million of them - bursting off the screen in every frame, 4 times more than we’re used to seeing in the cinema. For fans of the band, more pixels mean an unrivalled opportunity to experience the full visual spectrum of their Rome stadium show shot in July this year. The Ultra High Definition format gives the cinema audience astonishing detail combining jaw-dropping shots of the Stadio Olimpico with views from 'spider' cameras darting above the surging crowd and on stage close-ups that expose the musical mastery and showmanship of the trio. On 5th November 2013, 20 cinemas in 20 cities worldwide will host a special advance screening of Muse – Live at Rome Olympic Stadium, July 2013 exclusively in 4K. The unique screenings will start in Sydney and finish in Los Angeles, taking in other capital cities throughout the day including Tokyo, Paris, London and Rio. Where 4K is not available the film will be shown in 2K High Definition. Muse – Live at Rome Olympic Stadium filmed on 6th July 2013 in front of a capacity audience of over 60,000, captures the momentous evening in the Italian capital and showcases the most extravagant set build and spectacular stage show of any Muse tour to date. The three school friends from Devon take the audience on a mesmerizing journey using pyrotechnics, expansive digital screens and a troop of actors to accompany their epic playlist of 20 tracks, mixed in incredible surround sound, including hits from their most recent studio album The 2nd Law, as well as classics such as Uprising, Supermassive Black Hole, Time Is Running Out, Starlight and Plug-In Baby. Muse are an English rock band who have released six studio albums and sold in excess of 15 million albums worldwide. Widely recognised as one of the best live bands in the world, they have won numerous music awards including five MTV Europe Music Awards, six NME Awards and six Q Awards. The have twice been awarded "Best British Live Act" at The Brits and have also been nominated for five Grammy Awards, wining Best Rock Album for The Resistance. Their current tour commenced in October 2012 and has seen the band perform to over 1.5 million fans worldwide. Still playing catch up in the wake of so many noteworthy items landing in my inbox earlier today. Roots music lovers really have something to celebrate with news concerning Big Head Todd & The Monsters, John Hiatt, and The Milk Carton Kids. 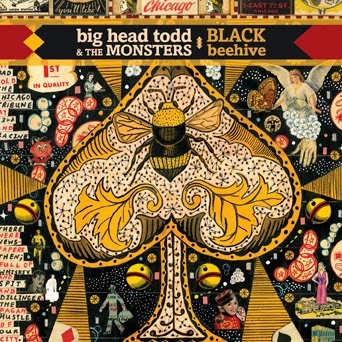 Los Angeles, CA – 25 years after releasing their first album, Big Head Todd & The Monsters are stronger and more committed to their craft than ever. Their new album, Black Beehive, due out February 4 from Shout! Factory, arrives a quarter-century after the group’s debut album, Another Mayberry, first put Big Head Todd & Monsters on the American music map. Today, the original trio—Todd Mohr on guitar and vocals, Brian Nevin on drums and vocals and Rob Squires on bass and vocals—along with keyboardist/pedal steel guitarist Jeremy Lawton, who joined in 2004, are still on an evolutionary path, open to new possibilities even as they further explore their roots. Guests on the album include Eddie Shaw, who played with Howlin’ Wolf for many years, on harmonica and saxophone, Ronnie Baker Brooks on guitar, and Steve Jordan, who played on almost every track. For BHTM, Black Beehive serves as both a reaffirmation of the band’s roots and a step into the next 25 years. Founded as a trio in Boulder, Colorado in 1986, Big Head Todd & the Monsters quickly built a reputation via their intense, soulful live performances, a signature mix of funky rock and blues, soul, country, folk and jazz, Caribbean and African rhythms and more. They started out on the club circuit and ultimately graduated to larger venues, including Colorado’s Red Rocks, which they’ve now played more than 20 times. LOS ANGELES, CA, October 28, 2013 - John Hiatt, who has been hailed by the Los Angeles Times as "one of rock's most astute singer-songwriters of the last 40 years," will release a Best Of compilation entitled Here To Stay - Best of 2000-2012 onNovember 11 on New West Records. The 17-track collection is comprised of key singles and live show favorites such as "Crossing Muddy Waters," "Master Of Disaster," "What Love Can Do," "We're Alright Now" and the previously unreleased title track, "Here To Stay," featuring Smokin' Joe Bonamassa on guitar. Hiatt, who has been on tour since June in support of the critically acclaimed album, Mystic Pinball, reunited with longtime friend Lyle Lovett last week for the aptly titled tour "An Acoustic Evening with Lyle Lovett and John Hiatt." The run, which began October 22 in Vermont, will take the pair across the East Coast, Midwest and Southwest before wrapping up on the West Coast. 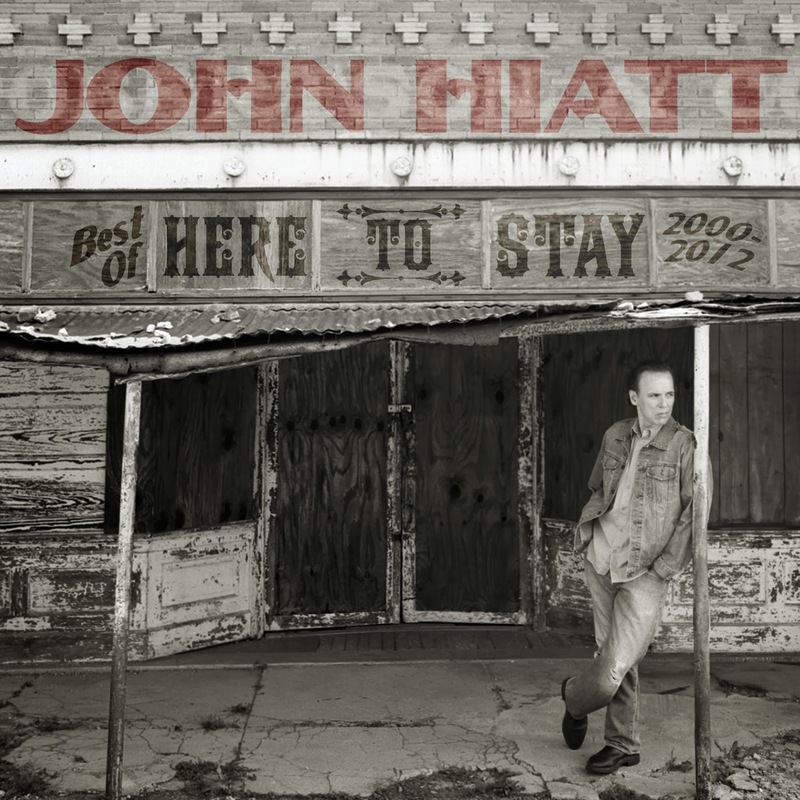 The dawning of the new millennium coincided with a new chapter in the career of Hiatt, one of America's most respected and influential singer-songwriters. After a quarter century of releasing records on five different major labels, the Indiana-bred musician kicked off a now-13-year run as an independent artist, recording eight albums (an initial pair of albums with Vanguard before moving to New West, his label home for more than a decade). This collection captures two songs from each of those eight albums, ranging from the pastoral "Crossing Muddy Waters" from the self-produced Grammy nominated album of the same name to the flat-out basher "Everybody Went Low" recorded with his then backing band The Goners. Hiatt's venerable and prolific New West years are duly represented here with tracks from each of his six releases, Beneath This Gruff Exterior, Master of Disaster, Same Old Man, The Open Road, Dirty Jeans and Mudslide Hymns and last year'sMystic Pinball. Among the many highlights are "Master of Disaster," produced by iconic Southern producer Jim Dickinson and featuring his sons Luther and CodyDickinson's band the North Mississippi All Stars, the lilting, redemptive "What Love Can Do" with daughter Lilly Hiatt providing beautiful harmonies and the front porch twang of "Blues Can't Even Find Me," from Mystic Pinball, produced byKevin Shirley (Journey, Aerosmith, Black Crowes). Here to Stay concludes with the title song, a smoldering roadhouse blues number featuring slide guitar virtuoso Joe Bonamassa, originally recorded for Dirty Jeans and Mudslide Hymns. Why Hiatt chose to leave it off that record is unknown but it turned out to be a prescient move. The song and performance serve as a thematically and musically perfect coda to this captivating collection - a batch of songs and recordings as artful, affecting and poignant as any in the nearly four-decade career of this distinguished American roots musician. Hiatt has long been a favorite songwriter amongst musicians and many of his songs have been covered or recorded by artists as diverse as Bob Dylan, Bonnie Raitt ("Thing Called Love"), Buddy Guy, Emmylou Harris, Ronnie Milsap, Iggy Pop, the Neville Brothers, Rosanne Cash (the #1 country hit, "The Way We Make A Broken Heart"), the Jeff Healey Band ("Angel Eyes"), Willie Nelson, Steve Earle, Linda Ronstadt, and even the cartoon bear band of Disney's 2002 film, "The Country Bears." He earned a Grammy nomination for his album Crossing Muddy Waters, and shared a Grammy with B.B. King and Eric Clapton for their albumRiding With The King, the title track from which was a Hiatt composition. 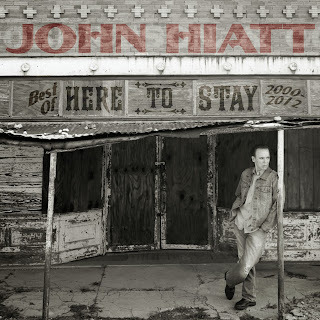 Hiatt was honored with his own star on Nashville's Walk of Fame and his legacy was even further cemented with the Americana Music Association's Lifetime Achievement Award for Songwriting and his induction into the Nashville Songwriters Hall of Fame. On Nov. 10, 2013, fresh on the heels of their 3rd appearance on A Prairie Home Companion, The Milk Carton Kids have been invited to tape an episode of the renowned television show Austin City Limits. Flat-picking harmony duo The Milk Carton Kids have emerged in the last three years as a powerful voice defining the continuing folk tradition. A refreshing alternative to the foot-stomping grandeur of the so-called "folk revival", an understated virtuosity defines The Milk Carton Kids to the delight of traditionalists and newcomers to the folk movement alike. Indeed, Garrison Keillor has called them "absolute geniuses in close-harmony", while cultural purveyors like T Bone Burnett and Billy Bragg continue to refer the importance of The Milk Carton Kids among a group of new folk bands expanding and contradicting the rich tradition that comes before them. The Los Angeles Times lauds their latest Anti- Records release The Ash & Clay as displaying "absolute mastery of their craft" while Paste Magazine emphasizes the "intellectual sophistication of their songs…making The Milk Carton Kids an option for purists unsatisfied with some of the pop tendencies seeping in to the genre." Beyond their inventive guitar lines and intricately interwoven vocals, the road-addicted duo is celebrated for the wry and biting humor that has become a beloved mainstay of their shows, with Fretboard Journal declaring, "The Milk Carton Kids are funny. Seriously funny. And what is only hinted at on their albums and within some of the lyrics is on full display during their live performances." 11/2 - Middletown, OH - DFA at Miami U.